*Book Cover Reveal* & *LIVE! * BlogtalkRadio Podcast with Eric Garrison! Today’s cover reveal features the second book in the Road Ghosts series, starring ghost hunters Brett and Liz, along with good ole “Uncle Gonzo”. This time, instead of being chased by ghosts, they’re on a cross-country race to save a poor little ghoul who’s been kidnapped. Lots of surprises await, including Vampire LARPers (live action role players) on a beach! This book also features the début appearance of Skye, the main character of the spinoff series Tipsy Fairy Tales (to be published by SSP in 2014/2015). The artwork was created by the award-winning Bonnie Wasson, who has been the artist for covers and interiors on the Road Ghosts series. Did you see the mirror-image reflection of the ghoul? revealed in that one snapshot of proof? This is another example of why I appreciate the illustrators of Seventh Star Press! They intrigue your curiosity to venture ‘into the story’ by giving a cursory glimpse of what you dare to find inside, once you allow your eyes to sink into the story which awaits you! clear there’s more to this investigation than either of them thought. Worse than that, Brett’s own fate is linked to the little ghoul’s. A rescue mission. A race for a cure. New friends and old adversaries. Unbreakable bonds and supernatural danger. It’s going to be a wild ride. 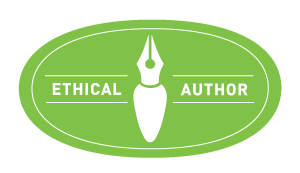 Eric Garrison is active in the writing community in Indianapolis, Indiana. He lives in the Circle City with his wife, step-daughter and a cabal of cats. He also enjoys gaming, home brewing beer, and finding innovative uses for duct tape. Eric’s novel, Reality Check, is a science fiction adventure released by Hydra Publications. Reality Check reached #1 in Science Fiction on Amazon.com during a promotion in July 2013. Seventh Star Press is the home of Eric’s supernatural fantasy series, Road Ghosts, including Four ’til Late, Sinking Down, and the upcoming Me and the Devil. Follow Eric’s further adventures on Silly Hat Books. Tonight @9pm(EST) Garrison and I will be featured on Episode Two of The Star Chamber! A weekly podcast hosted by Seventh Star Press, which spotlights and features authors, writers, book bloggers, musicians, and other creative economists who come together to celebrate the creative arts! Tune in each *Wednesday Night* at 9pm(EST) to hear what is happening next! Each podcast is archived and available for the listener to listen too after the show originally airs! Do not fear if your time zone is out of sync with The Star Chamber! Tune in as your time allows you to listen! Tonight, I step back from behind the veil of “Jorie Loves A Story”, and open up the mic to answering questions pertaining to my bookish life as much as why I undertook the journey towards book blogging! As I have given free rein to the hosts & hostesses to ask me questions that surround my diverse array of interests (some parallel to science fiction, fantasy, & horror &/or book blogging and reading) you might tune in and be a bit surprised by what we are discussing! One of the hostesses and I, share a combined passion for knitting, which I am hoping we get to talk a bit about as well! Prior to when I come on the line, Mr. Garrison will be discussing his new book which is revealed in this post as much as what is on the horizon for him at Seventh Star Press as the New Year: 2014 shifts into view! This is a great chance to get to know a book blogger &/or author you have been following alongside to see a more personal glimpse into who they are! Remember: Tweet your Qs to myself @JLovesAStory and to Mr. Garrison @erichris in order for us to answer your enquiries! I will be *live! * tweeting tonight as the show starts to get underway! As I was saying during the podcast, there are moments in our reading lives where we read about the premise of a story thinking that we are not going to have a genuine resonance with a particular book or author. Only to have our perception of what could be inside of a book change, whilst we’re given the opportunity to become further acquainted with said author. For me, I started to dig a bit into the ‘writer’ of Mr. Garrison via his personal blog, whereupon I learnt key insights into how much heart and wickedly cheeky humour he stitches into his stories! My first impression of a story isn’t always bang-on, and I purposely keep an open mind & ear for a day to come along to where I might re-visit a book &/or author I had previously taken a pass on being introduced too! One day I look forward to giving his first “Road Ghosts” book “Four Til’ Late” a bit of a whirl, seeing where the story inspired to take him as it hinges to fond memories & an admiration of who originally inspired him to take up his pen! As much as a bit of a smirking nod to his wife, of whom shares his passion for ghost hunting and paranormal investigations! What more can you hope for? Then, a road trek which leads you into the paranormal! Writ by an author who gives a proper nodding to the creatives who came before him as much as tapping into the museful realm of dreamscapes, by which all writers aspire to draw out a measure of creativity! archived for their listening audience! 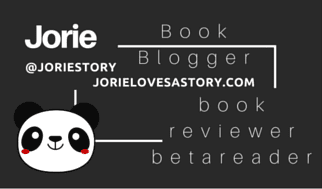 be sure to scope out my next Bookish Events! Footnote: I’ve kept this post in-tact as it was written originally however, the author is now known as E. Chris Garrison or Ms Chris as I refer to her on my blog posts wherein I am featuring one of her stories or hosting her as a guest author. The reason I kept this post in-tact is because I wanted to keep the memory of how our paths crossed and remember why saying ‘Mr Garrison’ was not quite as endearing as I had meant it to be as this was before I realised he was a she. Since that day, I’ve referred to the author respectfully as Ms Chris but acknowledge there was a time I did not realise she was transgender as I was not privy to that information when we first went live on The Star Chamber Show. I am a big supporter of Ms Chris and I cherish the memories of how we originally formed our friendship, even if as said, back then, I was missing an important bit of knowledge. I’ve updated the biography for my review of “Blue Spirit” replacing the old biography you see on this post. All my reviews moving forward will be with Ms Chris’s biography as this biography is of her previous pen name and not her real name as reflected on all my future posts. This will include my reviews of “Restless Spirit” and the Trans-Continental series during Sci Fi November 2016, as well as all forthcoming releases I will be reading or reviewing. I did switch over to calling her Ms Chris when I reviewed her short story within the anthology “A Chimerical World: Tales of the Seelie Court” as that was the earliest time I could share what I knew about the author’s transition. Blessedly tonight, I learnt via the author’s website (see this post) both Seventh Star Press and Hydra Publications are going to re-release Ms Chris’s series with the new biography and name change on the covers to reflect the author’s lineage of stories as her authentic self. I was overjoyed when I found out about this as I was hoping this could be done as it felt right to have the covers and interior biographies updated. This is why I respected Ms Chris and left her old pen name off my blog – except for this post. It’s a deadname on #JLASblog – except our path crossing on The Star Chamber Show. I’ll always hold that moment as a treasured joy, as I loved our conversation. It was one of my favourite memories as a guest outside of the Christmas Show where I conversed with Mr Allen. Speaking of which, we each updated our Twitter accounts – as I just noticed I still have links to my original Twitter ID on my blog! lol What an incredible three years… I really should write down the fond memories I’ve had as a book blogger, there are so many lovely moments of joy I’ve been blessed to embrace and experience. My blog itself is a footprint of my travels but I have a reserve of memories and moments I think I should work on chronicling during my next year as a blogger offline – as a way to journal my path and remember everything that’s become a part of my life since I took that leap and blogged my first review.